Poland and Germany. Japan and South Korea. Countries that experienced the tragedy of war. Countries that are involved in different kinds of alliances and partnerships. Staying in the international community as equal partners, they represent different patterns of postwar relations and reconciliation. Poland and Germany are states united within international organizations: the European Union (EU) and the North Atlantic Treaty Organization (NATO). South Korea and Japan stay in a quasi-alliance with the United States, which guarantees stability in the region as a political and economic partner of both states. This paper analyzes the commemoration of recent anniversaries (in 2014 and 2015) in the context of political statements, public opinion, and activities to find out the depth of the reconciliation processes. Based on the cooperation—or its absence—during celebrations devoted to the remembrance of World War II victims and anniversaries, the positive case of Polish-German reconciliation can be explained by shared anniversary celebrations, whereas Japan and South Korea still do not have an anniversary associated with World War II events during which they can stand together and pay tribute to soldiers as well as civilians that lost their lives in the war. With there are some institutional similarities between Poland and Germany and between South Korea and Japan, other comparisons can be made on the basis of war atrocities and victims. Public opinion in both Korea and Poland recalls the number of human losses as an important result of hostilities. It is difficult to compare each tragedy or each crime. Likewise, the attitude of victims, society, and politicians toward the offenders and toward forgiveness differs and cannot be measured. Poland, which lost almost 6 million citizens, 17 percent of all residents by 1945, is considered the biggest victim of the war, having lost the highest percentage of its population. During World War II, Korea was a Japanese protectorate and so the data is hard to estimate, but the numbers suggest 80,000 victims, of which 60,000 were civilians. This comparison shows that, when considering the number of war crimes and the number of casualties, Poland suffered more casualties. And yet, the power of using the memory of war as a political tool does not increase with the number of victims, as can be seen in the stronger war remembrance narrative in Korea than in Poland. Even if both relationships—Polish-German and Japanese-South Korean—differ in the case of postwar reconciliation, similarities can be found between the two victim states, Poland and Korea. Both nations suffered from the occupation policy of their neighbors: Korea by Japan until the end of World War II and Poland for 123 years until the end of World War I. Both nations share the experience of losing territories after war: Korea was divided into two countries and Poland lost its Eastern Borderlands (Kresy), which is still vividly remembered by Poles. Similarities can be also seen with the end of the Cold War, which brought Poles and Koreans a democratic government and economic growth. The only difference is one of borders: Koreans feel under constant threat from North Korea, a reminder of the injustice of postwar policy, while the Polish-German border is a settled issue and has allowed Poles to feel stability in the contemporary shape of the territory, leaving the issue of Kresy only in nostalgia. These issues of history appear in politicians’ addresses, but for different purposes: whereas in Korea they are often a call for apology from Japan, in Poland they more part of the historical narrative in official statements. The “round anniversaries” of events associated with World War II generate expectations for declarations and apologies, especially in East Asia, offering an example of the numerology aspect of memory in contemporary mass cultures. Certain “magic” anniversary numbers attract a lot of attention, especially those considered the “last moment” for such movements, like the 70th anniversary of the end of the war, which still gathered witnesses of events. Thus, 2014 was an important year for round anniversaries celebrated in Poland, with the 25th anniversary of the Polish Round Table Talks, the 70th anniversary of the Battle of Monte Cassino and its capture by soldiers from General Władysław Anders’ 2nd Corps, the 25th anniversary of the first partially-free parliamentary elections in postwar Poland, the 100th anniversary of the outbreak of World War I, and the 75th anniversary of the German assault on Poland. Moreover, in Poland, each year the parliament adopts an act that establishes the year in memory of a Polish person of merit. In so doing, Poles are given a chance to commemorate certain events and people. It also shows the European commitment to celebrate round anniversaries and the role of politics in a nation’s consciousness of historical figures and events. This European style of remembrance (politics of memory) is not characteristic of East Asia, where the round anniversaries are celebrated mainly on the national level. Different countries celebrate different anniversaries; some are celebrated bilaterally and some only domestically. Deep reconciliation is an important factor if two countries that fought against each other during the war are going to stand shoulder to shoulder and commemorate specific anniversaries. While 2014 was important mainly for Poles, in 2015 world leaders celebrated the end of World War II in Europe and in Asia. Therefore, this essay considers both dates while analyzing political leaders’ activities and comments regarding reconciliation in Central Europe and East Asia. Which Occasions are Good to Commemorate and Apologize? 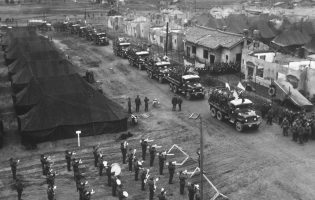 The recent years were full of round anniversaries of different events connected to World War II: the Japanese commemorated the 70th anniversary of dropping the atomic bombs in Hiroshima; Poles and Germans marked the 70th anniversary of the liberation of Auschwitz; Koreans celebrated the 70th anniversary of Korea’s liberation from Japanese colonial rule. The world celebrated the anniversary of the end of the war in Europe (in May) and in Asia (in August). Location is an important aspect of the political statements and gestures associated with marking specific anniversaries, i.e., places of remembrance (lieux de mémoire). In the case of Poland and Germany, Westerplatte, the location of a former Polish Military Transit Depot in the Free City of Danzig, is one such site. The place of the first clash between Poland and Germany in 1939, it is commonly used to commemorate the outbreak of war. In 2015, it also served as a place to celebrate the end of World War II. In Asia, Japanese and Koreans have no common place to commemorate or celebrate together. Nevertheless, we cannot say that Asian countries cannot deeply reconcile. The case of Japanese-U.S. relations shows that politicians can deal with the war past and conduct memory work (travail de mémoire), even if the reconciliation still cannot be considered complete in 2016. The Polish president further noted the institutionalization of reconciliation in Western Europe “in the form of security based on common prosperity and cooperation with neighbors.” During this statement, two important issues appeared: first, that although Eastern Europe was left on the “wrong” side of the Iron Curtain, it could achieve the institutionalization of reconciliation by understanding that only a united Europe could become a Europe without war. During the Westerplatte celebration, Germany was represented only by former president Horst Köhler. These actions were motivated by the desire to avoid a souring of relations with both Russia and Poland. Despite the lack of representation at the highest political level in May 2015, little more than half a year before the end of war celebration took place, German president Joachim Gauck visited Westerplatte on the occasion of 75th anniversary of the outbreak of war. In his address, Gauck stated that people in Poland have been greatly affected by the war imposed on them by Germany. He also supported the Polish position in regard to Russian policy (especially the annexation of Crimea), expressed in such statements as Russia effective severing its partnership with Europe, or accusing President Vladimir Putin of trying to bring about a new world order—with his nation at the helm. 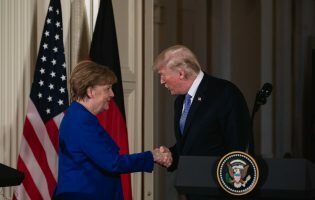 Although his address aroused criticism among some German politicians and in public opinion, that the German president shared their position was a testament to Poland of the partnership between the two countries. On September 1, 2014, during a Bundestag session on Middle East issues, Chancellor Angela Merkel mentioned that seventy-five years earlier Germany invaded Poland and ultimately caused the deaths of 6 million people, for which Germany bears and admits its historical responsibility. This remark was not made in response to demands from the Polish side, but it found resonance in the Polish press. Ten days later, on September 10, 2014, perhaps the biggest proof of reconciliation and shared view of history happened when Komorowski became the first Polish president to address the German Bundestag, including Chancellor Merkel, President Gauck, and the president of the Bundesrat, Stephan Weil. In his address, Komorowski referred to Polish-German friendship and the reconciliation process, the collapse of communism in Europe, and to contemporary conflicts, in particular that in Ukraine. These aspects of Polish-German partnership show that the completed memory work gives Poland and Germany the ability to raise foreign policy issues within the EU as equal partners and with a stronger voice within the European states. As mentioned previously, Asian states do not have a common place for commemorating the anniversaries of events from the war. In the case of the 2015 celebrations, we had no gestures of direct apology by Japanese prime minister Shinzō Abe toward Korea (and in Central Europe those were not needed). Nevertheless, in 2015, Asian countries awaited Abe’s statement on the occasion of the 70th anniversary of the war’s end. This landmark date was coinciding with the 100th anniversary of China’s 1915 “Twenty-One Demands,” which was the impulse for anti-Japanese sentiments, as well as the 50th anniversary of Japan’s normalization of relations with the Republic of Korea in 1965. The address was delivered on August 14, and it was widely commented on in South Korean media. Paying attention to the statement of the Japanese prime minister is important not only because of the landmark anniversaries, but also because the polls at the time showed that East Asians were not convinced by the Japanese leader. Moreover, only 7 percent of South Koreans expressed confidence in Abe’s policy, but 63 percent of South Koreans said they had no confidence in Abe at all. These comments show the inevitability of Japanese-Korean relations and partnership, which is crucial for Korea to maintain its position in the region, both in terms of economics and security. This thesis is also confirmed by Korean respondents’ answers regarding the history issue as a source of diplomatic conflict, but not military conflict. In 2016, though it was not a round anniversary of any historical events, we saw positive bilateral cooperation on both sides. Regarding the historical disputes, the situation was under control because of Abe’s December 2015 comfort women deal between the two countries. Though it seemed to be a first step to normalizing Japanese-Korean historical disputes and to finding a solution that is satisfactory to both sides, the temporarily dormant tensions began to return and reach the peak in the withdrawal of Japanese diplomats from South Korea in 2017. This kind of escalation of a conflict rooted in historical animosities seemed to be inadequate to the ongoing political and security situation in the region. Steps toward deepening reconciliation are still needed in the context of Japan and Korea. The basic comparison based on analyzing selected political statements and press comments shows the great difference between Polish-German and Japanese-Korean relations and commemorating events in which they fought against each other. In the landmark years of 2014 and 2015, Poland and Germany showed themselves as friends speaking the same language, not only in the aspect of war memory but also in the contemporary political situation—in this case, Russian aggression toward Ukraine. Press releases all over the world focused on the common attitudes of Poland and Germany toward Russia, not on the case of reconciliation between them. Therefore, we can say that observers consider Polish-German reconciliation a completed issue, and their attention is turned toward the common policy and statements delivered by politicians regarding the issues bothering the European community. Japanese-Korean relations are still overshadowed by historical disputes, even if the economic and security ties between both countries are very strong. The question of war apologies and responsibility seem to dominate in press comments as well as politicians’ statements, mainly on the Korean side. Nevertheless, the question of war memory seems to be vivid in the case of domestic policy, while the questions of regional security and alliance seem to join both Japan and Korea, regardless of politicians’ claims on history. The analyzed celebrations took place before major changes in the political environment in Poland and in Asia-Pacific. Therefore, any future analysis of the political environment using history and memory as a political tool should be undertaken as separate research. The term quasi-alliance was proposed by Victor D. Cha in the paper: “Abandonment, Entrapment, and Neoclassical Realism in Asia: The United States, Japan, and Korea,” International Studies Quarterly, Vol. 44, No. 2 (June 2000). I use this term to emphasize the expression used in The Polish–German Treaty of Good Neighbourship and Friendly Cooperation, which was signed between the Federal Republic of Germany and the Republic of Poland on 17 June 1991. The number of 6.28 million was provided by Jakub Berman (undersecretary in the Presidium of the Council of Ministers) in 1946. The data provided by the Institute of National Remembrance in 2009 provides an amount of 5.6 to 5.8 million Polish citizens. See W.Materski, T.Szarota, ed., Polska 1939-1945. Straty osobowe i ofiary represji pod dwiema okupacjami [Poland 1939-1945. Victims of repression under two occupations] (Warsaw: Institute of National Remembrance, 2009). This number doesn’t include Polish citizens who stayed in the Eastern Borderlands and after 1945 became Soviet citizens. The absolute value of the sum of war deaths is bigger, for example, for the Soviet Union, which lost more citizens, but according to the relative value shows that Poland was the biggest victim of war by losing almost 1/5 of its citizens. The number provided by World War II database, http://ww2db.com/country/korea (accessed 1 March 2017), see more: Miki Y. Ishikida, Toward peace: war responsibility, postwar compensation, and peace movements and education in Japan (Lincoln, NE: iUniverse, 2005). I compare these periods, since from 1918 Poland was an independent country. Even if from 1939 until 1945 there was a Nazi and Soviet occupation of Polish territory, the Government of the Republic of Poland in the Exile existed in London, and was the guarantor of the country’s continuity. Therefore, I mean the experience of occupation policy as a lack of county’s existence. As an example, see the address of President Komorowski at Westerplatte on 1 September 2014: “For Poles, the end of the war and the liberation from the German occupation was not tantamount to regaining freedom and sovereignty they were dreaming of. We were left on the wrong side of the Iron Curtain which then stretched along the Elbe River.” Address by the President of the Republic of Poland at Westerplatte, http://www.prezydent.pl/en/president-komorowski/news/art,684,address-by-the-president-of-the-republic-of-poland-at-westerplatte.html (accessed 1 March 2017). John W. Dower, Ways of Forgetting, Ways of Remembering. Japan in the Modern World (New York: The New Press, 2012), p. 176. For more anniversaries see: “Rok 2014 – rokiem ważnych dla Polski rocznic historycznych” [2014 – a year of important historical anniversaries for Poland], Gazeta Wyborcza, 31 December 2013, http://wyborcza.pl/1,91446,15204707,Rok_2014___rokiem_waznych_dla_Polski_rocznic_historycznych.html (accessed 1 March 2017). For example, 2014 was the year of Jan Karski (Resolution no. 1019 of the Sejm of the Republic of Poland, 16 December 2013), 2015 was the year of John Paul II (Resolution no. 1200 of the Sejm of the Republic of Poland, 5 December 2014), 2016 was the year of Henryk Sienkiewicz (Resolution no. 44 of the Sejm of the Republic of Poland, 22 December 2015), and 2017 is the year of Joseph Conrad (Resolution no. 628 of the Sejm of the Republic of Poland, 22 June 2016). The resolutions of the Polish government don’t necessary coincide with the celebrations of the round anniversary of birthday or death of a person of merit. The international year of chemistry was marked in both Poland and France as the year of Maria Sklodowska-Curie in 2011, the 100th anniversary of her Noble Prize. One example is the anniversary of the end of World War II, which is celebrated in Japan or the Republic of Korea by political actors within the country. In Poland, every occasion is an opportunity to ask other European partners to take part in local events. Pierre Nora, ed., Realms of Memory, The Construction of the French Past 1 (New York: Columbia University Press, 1996). A concept, developed by Paul Ricoeur in the 1990s, when memory moved from psychoanalysis to the social sciences. The philosopher proposed the concept of completed memory, to obtain closure and to start building a good relationship. When the memory work is “done,” new common goals can be fulfilled. In 2015, Abe’s speech to the U.S. Congress during a joint session can be considered as a certain memory work (travail de mémoire). The event took place in April 2015, and the whole address was titled “Toward an Alliance of Hope.” The achievement of full reconciliation can be summed up by President Obama’s visit to Hiroshima and Prime Minister Abe’s to Pearl Harbor in 2016. Those events did not take place on the occasion of any round anniversary of war events. Political leaders from Ukraine, Croatia, Czech Republic, Lithuania, Latvia, Estonia, Hungary, Spain, Bulgaria, Romania, Germany, and France took part in the celebrations. Also present during the event were Secretary General of the UN Ban Ki-Moon and the head of the Council of the European Union Donald Tusk. Piotr Celej, “Rocznica zakończenia II wojny światowej w Gdańsku? ‘Potrafimy zorganizować dużą imprezę,’” [Anniversary of the end of World War II in Gdansk? ‘We are able to organize a big party’], Gazeta Wyborcza, 27 January 2015, http://trojmiasto.wyborcza.pl/trojmiasto/1,35612,17312825,Rocznica_zakonczenia_II_wojny_swiatowej_w_Gdansku_.html (accessed 1 March 2017). “Wystąpienie na uroczystościach na Westerplatte” [Address at the ceremony at Westerplatte], official webpage of the President of the Republic of Poland, http://www.prezydent.pl/archiwum-bronislawa-komorowskiego/aktualnosci/wypowiedzi-prezydenta/wystapienia/art,230,wystapienie-na-uroczystosciach-na-westerplatte.html (accessed 1 March 2017). Those issues were chosen from the analysis of President Komorowski’s statement at Westerplatte. Bartosz Dudek, “Gauck na Westerplatte: Polska strasznie ucierpiała” [Gauck on Westerplatte: Poland suffered terribly], Deutsche Welle, 1 September 2014, http://www.dw.com/pl/gauck-na-westerplatte-polska-strasznie-ucierpia%C5%82a/a-17893733 (accessed 1 March 2017). This part of Gauck’s address was reported worldwide, e.g., by Cheryl K. Chumley, “German president: Russia’s ‘severed its partnership’ with Europe,” The Washington Times, 3 September 2014, http://www.washingtontimes.com/news/2014/sep/3/german-president-russias-severed-its-partnership-e/ (accessed 1 March 2017). The criticism was described in “Historiker werfen Gauck Eskalation vor,” Sueddeutsche Zeitung, 8 September 2014, http://www.sueddeutsche.de/politik/vorwuerfe-gegen-russland-historiker-werfen-gauck-eskalation-vor-1.2117747 (accessed 1 March 2017) and “Niemcy. Gauck nadal krytykowany za przemówienie na Westerplatte” [Germany. Gauck is still criticized for his speech at Westerplatte], Gazeta Wyborcza, http://wyborcza.pl/1,91446,16595341,Niemcy__Gauck_nadal_krytykowany_za_przemowienie_na.html (accessed 1 March 2017). Koreans express their friendship by holding hands, regardless of the partner’s gender. For example, Korean approaches toward building friendly relations among politicians are seen in gestures such as Kim Dae-jung and Kim Jong-il holding hands. “Address by the President of the Republic of Poland at Westerplatte,” http://www.prezydent.pl/en/president-komorowski/news/art,684,address-by-the-president-of-the-republic-of-poland-at-westerplatte.html (accessed 1 March 2017). Deutscher Bundestag – 18. Wahlperiode – 48. Sitzung. Berlin, Montag, den 1. September 2014, http://dipbt.bundestag.de/doc/btp/18/18048.pdf (accessed 1 March 2017). Merkel’s statement echoed in “Merkel przypomina: To Niemcy rozpętały tę wojnę. Nigdy o tym nie zapomnimy” [Merkel recalls: It was the Germans who started that war. We will never forget it], Dziennik. Gazeta Prawna, http://wiadomosci.dziennik.pl/swiat/artykuly/468520,angela-merkel-nie-zapominamy-o-odpowiedzialnosci-za-wojne.html (accessed 1 March 2017). President B. Komorowski in the Bundestag celebrating the 75th anniversary of the outbreak of World War II. First speech of the Polish president in the German Parliament, http://www.berlin.msz.gov.pl/pl/aktualnosci/prezydent_b__komorowski_wyglosil_przemowienie_w_bundestagu_podczas_obchodow_75_rocznicy_wybuchu_ii_wojny_swiatowej_?printMode=true (accessed 1 March 2017). Michael J. 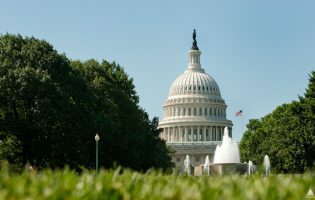 Green, “Prime Minister Shinzo Abe’s August 14 Statement on the 70th Anniversary of the End of the Second World War,” https://www.csis.org/analysis/prime-minister-shinzo-abe%E2%80%99s-august-14-statement-70th-anniversary-end-second-world-war (accessed 1 March 2017). “How Asia-Pacific Publics See Each Other and Their National Leaders,” Pew Research Center 2015, file:///C:/Users/Ola&Tomek/Downloads/Pew-Research-Center-Asian-Views-of-Each-Other-Report-FINAL-September-2-2015.pdf (accessed 1 March 2017). Statement by Prime Minister Shinzo Abe Friday, August 14, 2015, http://japan.kantei.go.jp/97_abe/statement/201508/0814statement.html (accessed 1 March 2017). Confirmed in 2016 poll by Pew Research http://www.pewglobal.org/2016/09/13/hostile-neighbors-china-vs-japan/china-japan_2016_03/ (accessed 1 March 2017). This question was raised in “Japanese Foreign Ministry Deletes War Shame from Website,” The Chosunilbo, http://english.chosun.com/site/data/html_dir/2015/09/21/2015092101084.html (accessed 1 March 2017). “Disappointing statement,” The Korea Times, 14 August 2015, http://koreatimes.co.kr/www/news/opinon/2015/08/137_184860.html (accessed 1 March 2017). “Park urges Japan to back up its pledge on history with actions,” The Korea Times, 15 August 2015, http://koreatimes.co.kr/www/news/nation/2015/08/113_184891.html, (accessed 1 March 2017). Michael J. Green, Nicholas Szechenyi, Power and Order in Asia. A Report of the CSIS Asia Program (New York: Rowman & Littlefield, 2014), p. 13. 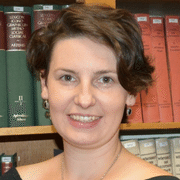 Dr. Olga Barbasiewicz is an Assistant Professor in the Institute of Middle and Far East Studies, Faculty of International and Political Studies, at Jagiellonian University in Krakow. She holds her Ph.D. and M.A. in Political Science as well as M.A. in Japanese Studies. She held the JASSO scholarship and studied International Relations at Tsukuba University in Japan. In her current research, she focuses on memory politics and Japanese-Korean relations in regard to the alliance with the U.S.